Mark Cavendish returned to track racing with second to Holland’s Wim Stroetinga in the scratch race on Friday’s first day of the International Belgian Open in Ghent. 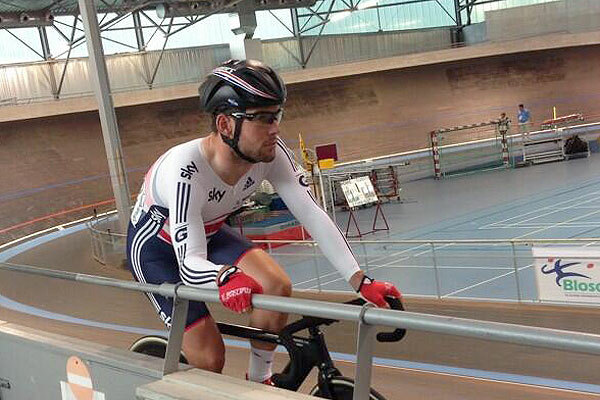 Cavendish admitted he was apprehensive after only three days’ training at the Manchester Velodrome this week, his first time on the track in over a year. But he was alert and aggressive throughout the 15km race, driving a five-man break that lapped the field and then fighting his way into contention for the final sprint. Cavendish’s young Great Britain team-mate Owain Doull almost stole his thunder, making it into a late escape that led by half-a-lap with seven to go. When Doull was brought back, Cavendish moved up, shadowing Jonas Rickaert, then hit the front at the bell. But Stroetinga, who had also been aggressive, was tucked behind. While Cavendish led them down the back straight, the former Milram rider bided his time then attacked on the final bend. He drew level just before the line and was given the verdict by centimetres. Doull was a strong sixth. “The scratch was primarily a bit of a warm up for the madison,” said Cavendish, who will ride Saturday’s madison with Doull. “I’m happy. Wim’s strong, he used to beat me as a junior, and in the under-23s, it was always me and him first and second. I felt alright. Ignoring the result, I got what I wanted out of it. Cavendish’s return to the track for this new event was prompted by new UCI rules regarding qualification for the World Cups he would need to ride if he wants to go to the Rio Olympics in 2016. Cavendish insisted that he has made no decisions regarding the Olympics, but wants to keep his options open. “There’s no plan at all,” he said. “Really: there’s nothing. I just thought I’d ride to give myself a chance in case. The women’s scratch race, held earlier, ended in a bunch sprint won by Leire Olaberria of Spain, ahead of Kelly Markus of Holland and Kelly Druyts of Belgium. Scotland’s Charline Joiner, who had featured in one of the few escapes, was eighth.